To conserve three species of sea turtle (olive ridley, hawksbill, and green turtle) by initiating a community based conservation program. Around 50 sea turtles per month nest on the Pacific oceanfront by the community of El Rosario (Department of Chinandega). Throughout their life cycle sea turtles play roles that are integral to varied marine ecosystems including seagrass beds and coral reefs. They are also important in the culture and economy of coastal communities both through the consumption of eggs and meat and more recently through tourism. Egg collection is a traditional activity that is currently taking place at unsustainable levels. A local group has a plan for action that engages with the local community. Around 50 sea turtles per month nest on the Pacific oceanfront by El Rosario between the months of July and November, a community of 600 people located approximately 15 km from Potosí within the Department of Chinandega. 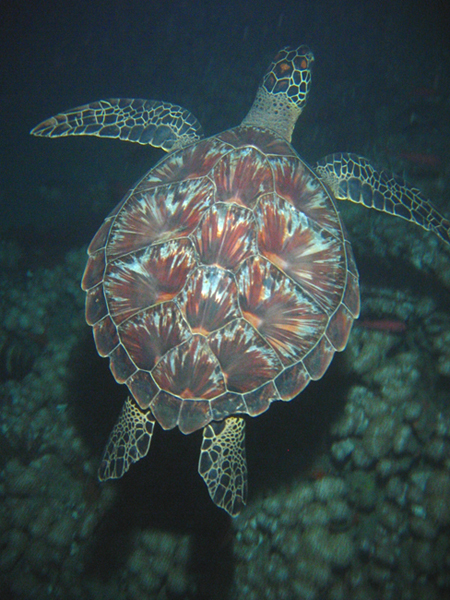 Sea turtles are a very important element of global biodiversity. Throughout their life cycle they play specific roles that are integral to varied marine ecosystems including seagrass beds and coral reefs. They also play a significant role in the culture and economy of coastal communities both through the consumption of eggs and meat and more recently through tourism. Most species of turtles, will eventually migrate to coastal habitats rich in food resources, where they graze and grow to maturity. Depending on the species, they can reach sexual maturity between 10 and 15 years, when they migrate from coastal feeding areas to the nesting beaches where they were born. These migrations are conducted every few years by both females as males, and can cross large pelagic regions that are often thousands of kilometers. Worldwide there are seven species of sea turtles, five of which nest in Nicaragua, the third most important region for turtle nesting, after Costa Rica and Mexico. On Nicaragua's Pacific coast, four species nest: olive ridley (Lepidochelys olivacea), hawksbill or piñuelera (Erethmochelys imbricata), Pacific green or torita, (Chelonia mydas agassizii) and tora turtle, trunk or laud (Dermochelys coriacea). 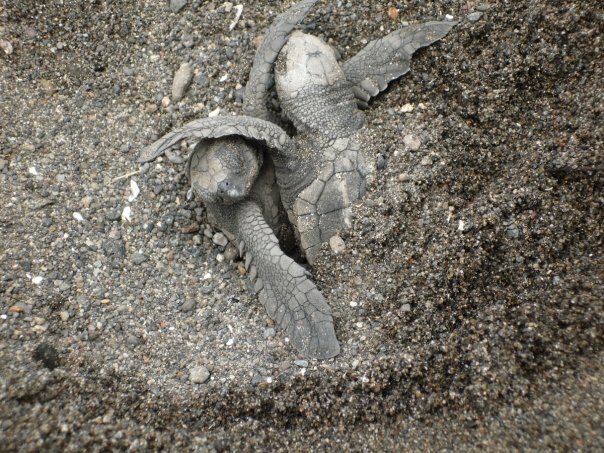 Nicaraguans are fortunate to have several beaches on both the Pacific and the Atlantic where turtles come to nest. However, turtles face many threats to survive and nest successfully. Natural mortality occurs from predation by fish, birds, raccoons and octopus. Human harvesting of turtles and their eggs for food impacts the olive ridley, while hawksbill turtles are exploited for bracelets, necklaces, oil, calipee (cartilage), leather, shell and other curiosities. Turtles also get trapped and suffocate in fishing nets, and thousands of sea turtles die from eating or becoming entangled in non-biodegradable waste, including bottles, balls of oil, balloons, bands packaging and styrofoam. The odds are poor for turtles reaching full sexual maturity. Turtle eggs have been used by coastal communities for food since pre-Columbian times. By the late 1970s egg harvesting was documented as a serious problem, reaching levels close to 100% in those nesting beaches where there was no protection. Given the serious state of sea turtles, egg collection was prohibited by Ministerial Resolution MARENA (No 45) in 2005. However, pressure from collectors remained significant — close to 100% on beaches where no protective measures are carried out and 10-50% in protected areas. Trade in sea turtle eggs is a complex issue involving a wide range of actors along a supply chain. It thus requires a multiplicity of solutions. This project advances the protection and conservation mainly of Olive Ridley turtles (Lepidochelys olivacea), hawksbill (Erethmochelys imbricata), and green turtles (Chelonia mydas agassizii) and will build local support for the conservation of sea turtles in the Fonseca Gulf. The community of El Rosario is adjacent to an easily accessible 10 km stretch of beach and, due to it's remote location, has gone without law enforcement for years. It had become an attractive location for egg collectors from throughout Nicaragua to stay during turtle nesting seasons. It is estimated that 100% of eggs had been harvested before 2007 when foreign tourism operations began turtle hatcheries. Based on a proposal from El Rosario's community leaders in 2016, ICFC has supported the construction of a community hatchery and conservation-based education program. Hurricane Nate hit El Rosario in early October 2017, burrying the hatchery in sand and making the protection and vigilence of the hatchery impossible for several weeks. 15,000 hatchlings is the number estimated by the hatchery guards that emerged from the sand after the storm.